A Variety of Hot Sauces for any Hot Sauce Lover. 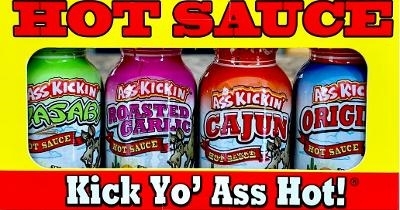 This 4-Pack contains Original Hot Sauce, Wasabi Horseradish Hot Sauce, Cajun Hot Sauce, Roasted Garlic Hot Sauce. 4 bottles - 2 fl. oz each. RFREE SHIPPING for orders $75.00 or more!